I can not believe the year has been flying by! It's crazy to think it's nearly the 100th day of school, but that's exactly why I'm here today. I want to share with you my 100th Day of School Math Fun FREEBIE! To celebrate the 100th day of school, I created an awesome 100th Day of School FREEBIE incorporating addition and multiplication. 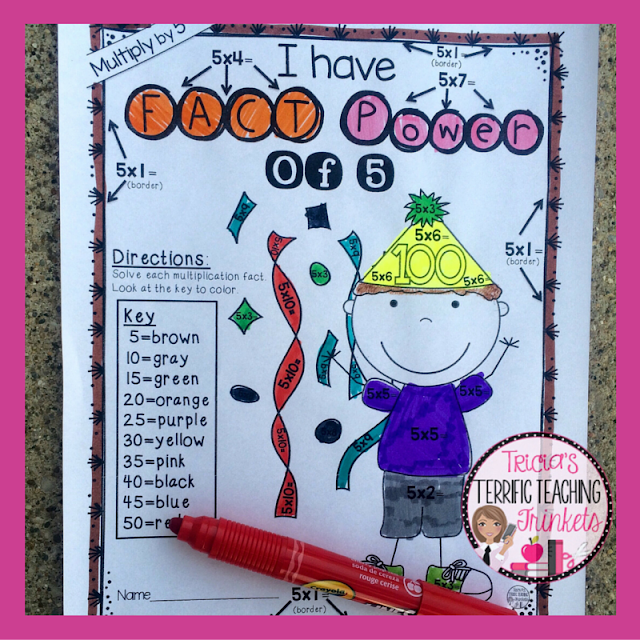 My students love practicing their fact power through coloring activities and games so this packet is a win-win. I guarantee your student will be "hooked" too! My 100th Day of School Packet has 7 math pictures themed to celebrate the 100th Day of School. Here are a few completed samples from some of my other students! I'm sure this 100th Day of School Math Fun FREE download is going to be a hit with your first, second, and third grade students - just like it is with mine! Here's the link one more time, in case you missed it! 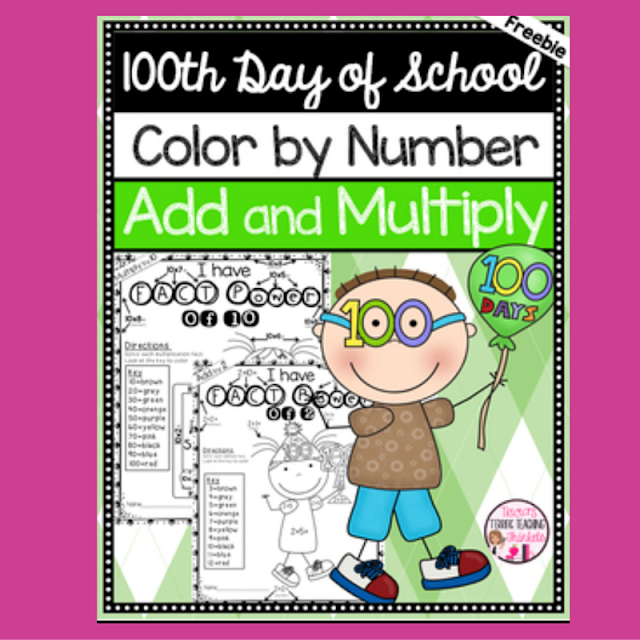 Grab it now - share the link with a friend - and let their students get in on the 100th day of school math fun as well!! If you enjoyed this freebie packet, I have created similar holiday packets of math fun as well. You can see all of my holiday resources when you check out my Teachers Pay Teacher store. Thank you so much for stopping by to see me! 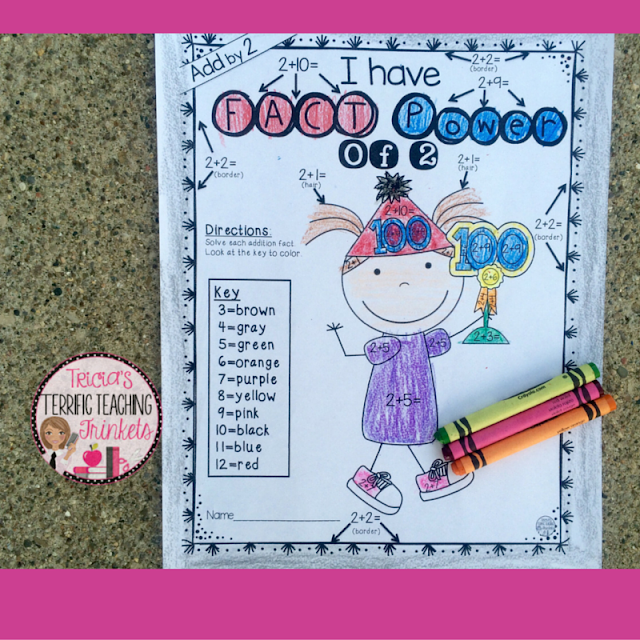 I hope you love this 100th Day of School Math Fun FREEBIE as much as my students and me do!